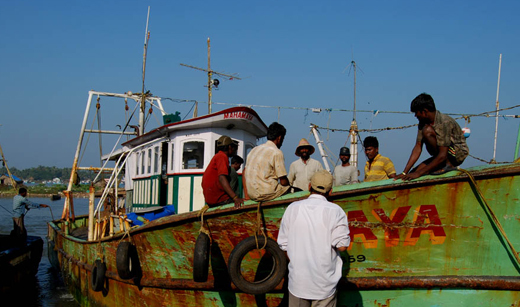 Mangaluru, Aug 4, 2016: The state government has released Rs 15.25-crore towards payment of sales tax on diesel used by fishermen for use in fishing boats in the state. This amount has been released for second quarter of current financial year and covers the dues in total owed by the state government to fishermen under the sales tax reimbursement scheme for the previous fishing season, noted minister for fisheries, youth empowerment and sports Pramod Madhwaraj. In an official communique received on Aug 3, Wednesday, the minister asserting that the government does not have dues on the sales tax reimbursement front, said under the scheme meant to encourage fishing in Karnataka, the government on May 27 had released Rs 25.12 crore towards repayment of sales tax for 2016-17. Continuing with the earlier order which saw Rs 25.12 crore being released, the government on July 25 released an additional Rs 8.37 crore.